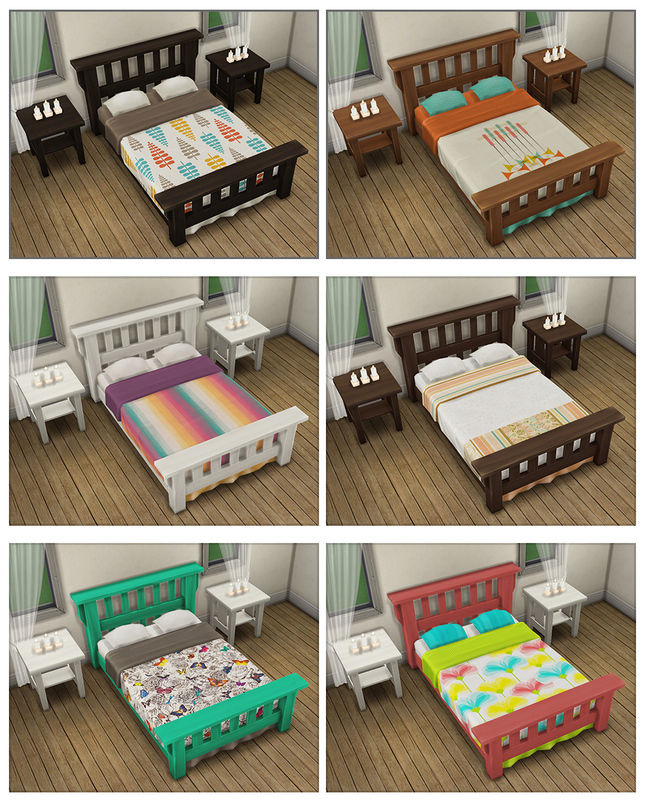 Thanks to Sims4Studio's Alice , I was able to update these to be stand-alone recolors instead of overrides. Just delete the old file called "SingleMissionRecolors_SaudadeSims_11-24-14" and place the new one in your downloads folder and you'll have recolors instead of overrides I left the old override file up for download too, just in case someone wants that. Thanks to the lovely and talented melbrewer367, I figured out how to package my recolors so that I could put them up for you guys to grab. 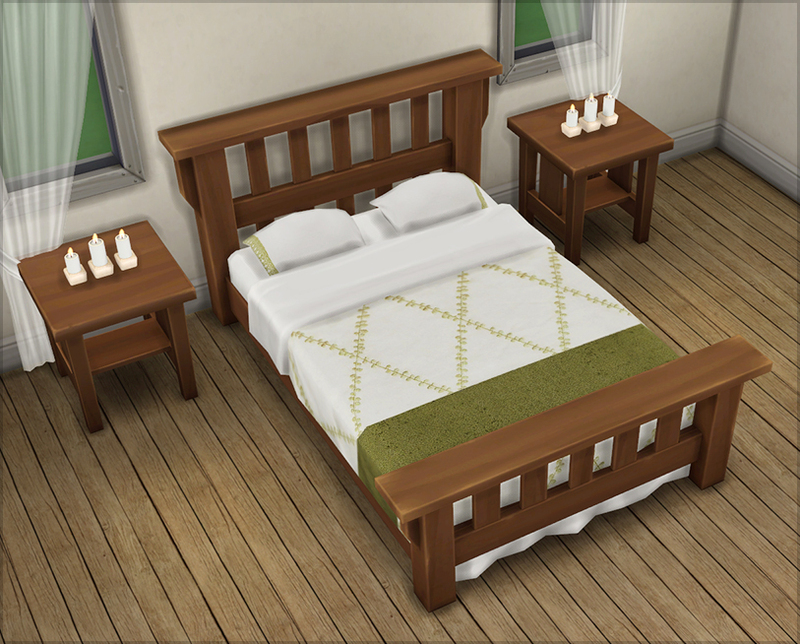 There are 16 in game original colors of this bed. I have replaced all 16 textures with my own recolors. 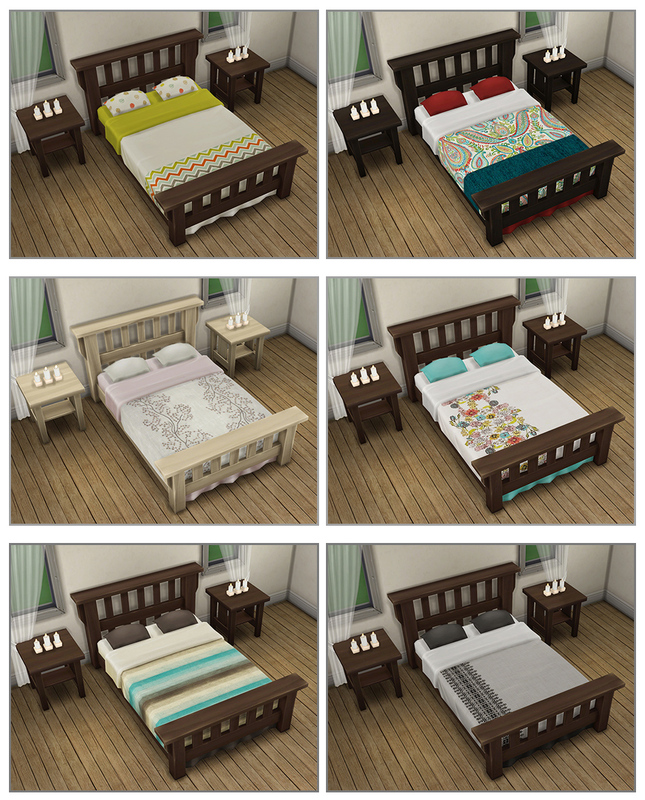 If you download this file only my recolors will show up, the original base game ones won’t. If you decide you don’t like mine, however, you can just delete the package and your originals will show back up. You place this .package file in your mods folder just like any other cc file. All 16 recolors are included in one package file. I play tested them and they seem to work well, but please let me know if you have any issues.